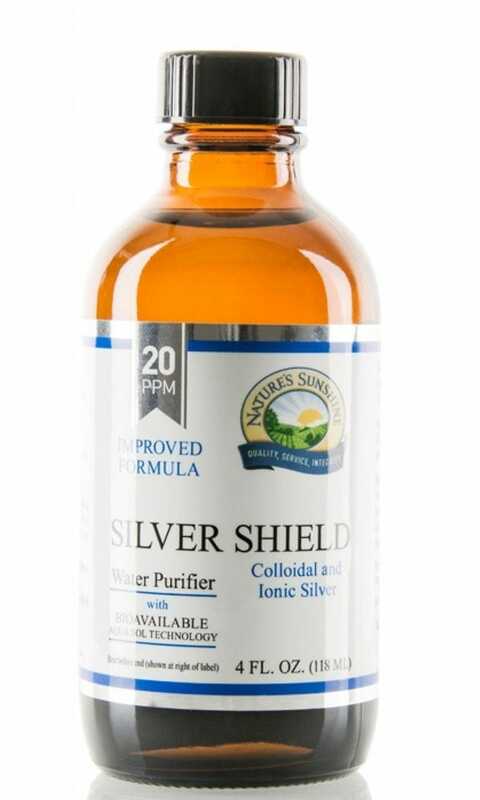 18 ppm of silver contains Silver Shield with Aqua Sol Technology [Immune] are suspended in purified, deionized water. Higher concentration are found in other brands (about 30ppm) which is possible to separate and settle at the bottom. Besides, long application of high concentration can cause change of colour of a skin and an internal inflammation of eyelids. Researches show, that colloidal silver disconnects the ferments responsible for the metabolism and reproduction of bacteria, fungi and viruses. Nature’s Sunshine’s Silver Shield is secure and effective. Its convenient size of particles of colloids maintains maximum efficiency. Only 1 teaspoon gives full 90mcg (18ppm) of pure silver with no pollution by heavy metals. The given product is completely non-toxical.